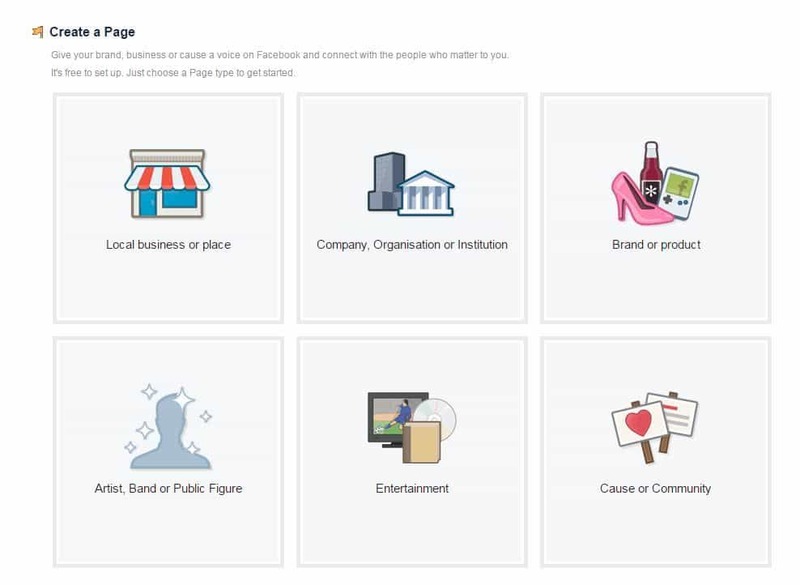 Anyone with the Facebook account can create the Facebook business page within a minute.You don’t need to be a programmer to create the Facebook page. 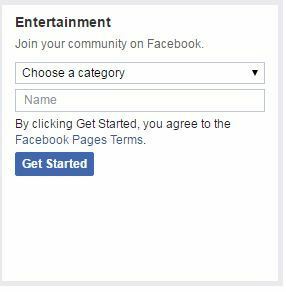 Anyone can create Facebook page easily. 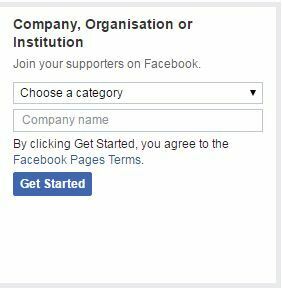 Click on the Create Facebook Page Link and choose the Facebook page type. Proper Page type will help you to reach the right audience. 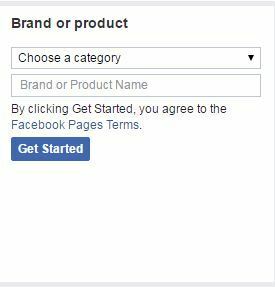 Once you selected the business page type and page name click on ‘Get Started’ Option to create the Facebook business page. This will redirect you to the setup page. Skip this setup page, you can add these options later. Next, you will get a redirect to your newly created business page. 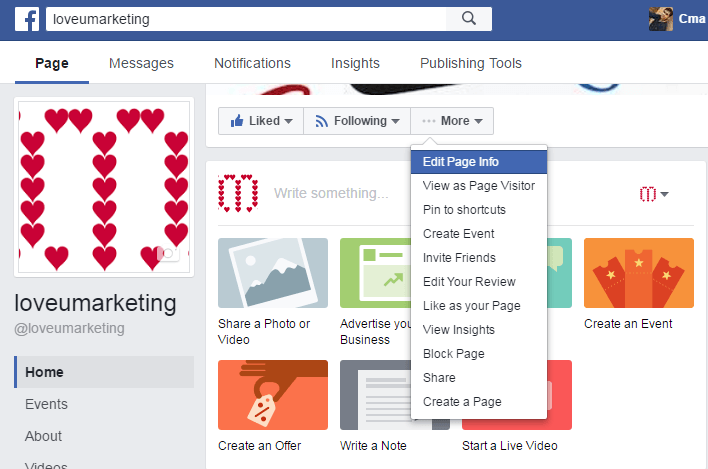 After creating the Facebook page, you will need to change the page setting. 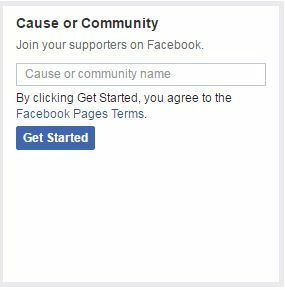 Refer the below image to the Facebook setting. Your business logo or brand image will appear here. Simply click in the space provided and you will get redirect to add the logo file. Click on the camera look like icon appear on the bottom right side of the cover page.Once you click on the icon, it will ask you to upload the new image or select the already uploaded image file. To enable review feature, go to the setting page and enable it. By default, it will be disabled. 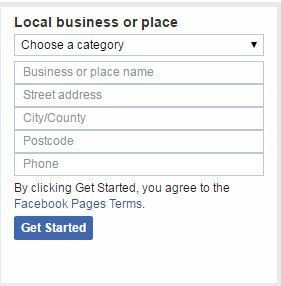 Add a Button option can be used to add a custom menu option to the page.Various options like Message, Book a Service, Website Link etc are available to add a button.You can select one of them. 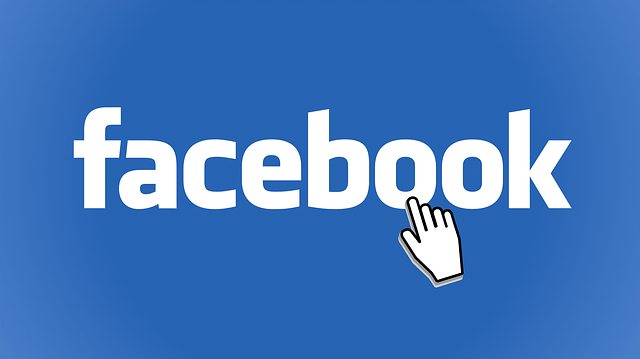 This will be the name of your Facebook page. 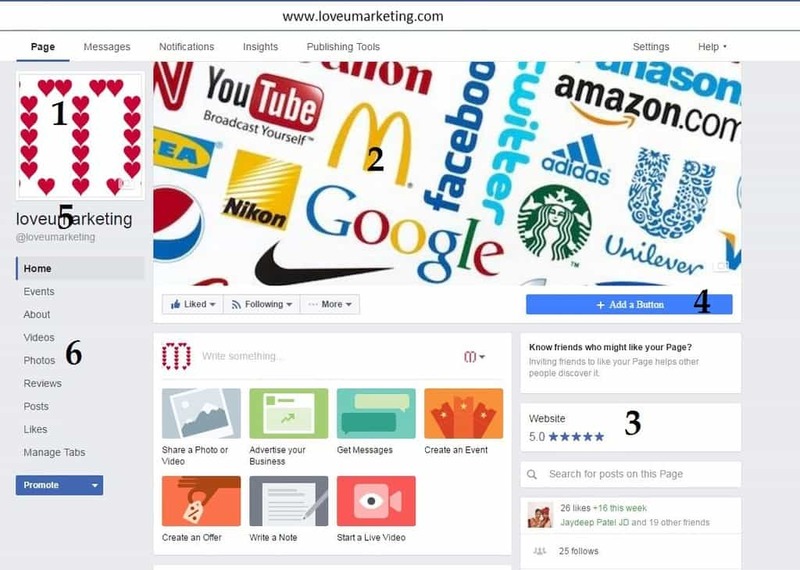 The first written in the big letter is just a name of the page, it will not affect the SEO whereas the another one will be URL of your Facebook page. 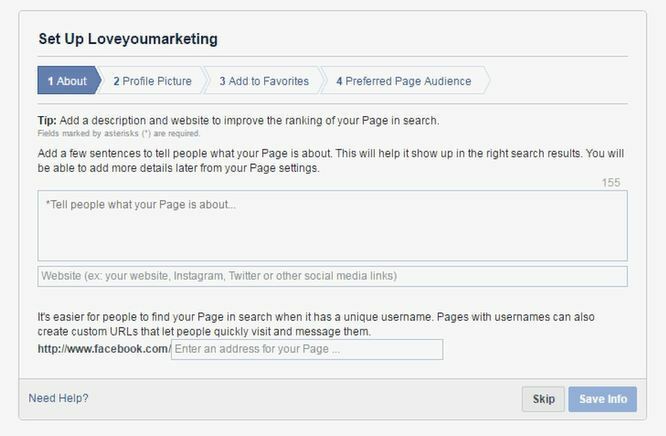 It will affect the SEO of your page.Both usernames can be change later on request and provided new name is available. To manage the tabs appearing on the left side of the page, select the ‘Manage Tabs‘ options given on the left side of the page beneath the default tabs.You can also manage the tabs, by selecting the ‘Edit Page‘ option in setting page.